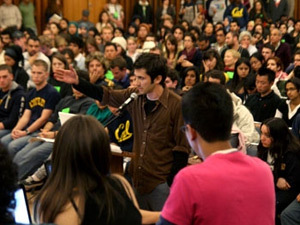 Last month, UC Berkeley student senate voted 16 - 4 in favor of a divestment bill calling on the university to halt its investments to the companies General Electric and United Technologies, "which support war crimes". The two companies supply the Israel Air Force with F-16 and Black-Hawk engines. But following an Israeli diplomatic effort, assisted by pro-Israeli students of the Hillel Foundation, the decision was overturned last week. In response to the bill, which has no practical significance and serves only as a recommendation, Will Smelko, president of the Associated Students of the University of California, was bombarded with some 12,000 emails from the bill's opponents. Smelko used his authority to veto the bill, and the student senators called a meeting on Thursday in an attempt to override the veto. 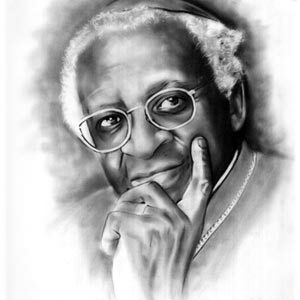 The bill's backers presented letters of support from Nobel laureate Desmond Tutu, and authors Naomi Klein and Alice Walker. The body that was behind the decision, the Jewish Voice for Peace, is made up of Jews and Israelis who support penalizing Israel. It includes activists Daniel Boyarin, a Jewish history researcher, Hannah Kronfeld, a Hebrew literature lecturer, and Ofra Ben-Artzi, Prime Minister Benjamin Netanyahu's sister-in-law, who was in the past detained during a protest in Sheikh Jarrah. The pro-Israel corner presented a letter of support from Nobel laureate Elie Wiesel, and authors Amos Oz and A.B. Yehoshua. The supporters of the Geneva Initiative and leftist organizations J-Street and the New Israel Fund also expressed their support. 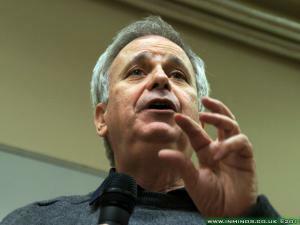 Israeli Consul General in San Francisco Akiva Tor spoke before the student senate and explained that Israel is trying to work towards the establishment of a Palestinian state and that this bill harms Israel's ability to defend itself. Tor suggested the students instead work to have the university cut its investments in the Iranian energy sector, saying it is Iran that is holding Berkeley graduates in prison and accusing them of espionage, while building a nuclear bomb to threaten Israel. In order to achieve a victory in Thursday's vote, the students needed a majority of 14 votes, but ultimately, only 13 student senators voted for the bill, meaning the decision to call off the "boycott" remains unchanged. After upward of nine hours, more than four dozen speakers, and countless moments of excited applause and tense anticipation, the ASUC Senate ultimately did not overturn the veto of a bill early Thursday morning urging divestment from two corporations that supply the Israeli military with materials and equipment used in alleged war crimes, instead electing to postpone a final decision on the bill's fate. The 12-7-1 vote to override President Will Smelko's March 24 veto failed to muster the necessary two-thirds majority vote of the 20-member senate. But following a successful motion to reconsider the vote-effectively nullifying the initial tally-the meeting devolved into a stalemate lasting nearly two hours that ended in the senate voting to table the motion to overturn the veto before adjourning. "By the end of the night, it was either one community wins or the other community wins," said Student Action Senator Sandra Cohen, who voted to uphold the veto. CalSERVE Senator and Academic Affairs Vice President-Elect Viola Tang-one of the bill's supporters-voted to sustain the veto as a procedural tactic, which, under the parliamentary rules the senate follows, allowed her to initiate a motion to reconsider. The much-anticipated meeting, which began Wednesday evening, attracted more than 400 students, faculty and community members, at least 200 of whom stayed until it was adjourned. Due to the unexpected turnout of supporters from all sides, the meeting had to be moved several times from Eshleman Library to the Martin Luther King Jr. Student Union Multicultural Center and finally to the Pauley Ballroom. 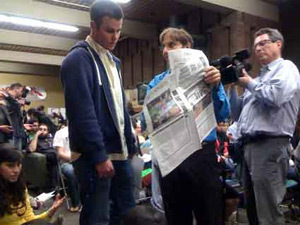 Passions remained high throughout the meeting, which included more than 50 speakers advocating everything from divesting in the corporations mentioned in the bill-General Electric and United Technologies-to ending the Israeli-Palestinian conflict. Among those scheduled were UC Berkeley rhetoric professor Judith Butler, Consul General of Israel for the Pacific Northwest Akiva Tor and a phoned-in statement from Richard Falk, United Nations Special Rapporteur on human rights in the occupied Palestinian territories. A lengthy public comment session followed, consisting of a back-and-forth between supporters and detractors of the bill. Hedy Epstein, an 85-year-old Holocaust survivor from St. Louis, Mo. who is a vocal advocate against the occupation of Palestinian territories, spoke in support of the bill during the scheduled speakers portion. "After Senate Bill 118A was approved, I sent an e-mail to President Will Smelko asking him not to veto the resolution," Epstein said. "And after he did veto it, citing concern that it discriminates against certain communities, meaning Jews, I had to come here to say that President Smelko does not speak for me." Rabbi Adam Naftalin-Kelman, the executive director of Berkeley Hillel, said overriding the veto would make UC Berkeley a more hostile environment for Jewish and Israeli students. "It will definitely cause a decrease in the number of Jewish students willing to attend Cal," he said. Student Action Senator Minji Kim cast the sole abstaining vote, citing her belief that she lacked sufficient qualifications to vote on the issue. During the several recess sessions following the motion to reconsider the vote to override the veto, divestment supporters and opponents approached Kim in unsuccessful attempts to win her vote. As the meeting stretched past 6:00 a.m. Thursday morning, senators from both sides increasingly spoke of drafting a compromise bill that would prevent further contention. "Can we just come to that conclusion that we table this bill-we get another bill-but we get, like, confirmation that it can pass," said independent senator and divestment bill supporter Huda Adem. Nhu Nhu Nguyen, one of the Student Action senators who initially voted for the bill but supported the veto at the meeting, invited the bill's authors-Emiliano Huet-Vaughn and Tom Pessah-and Tor to come and draft a bill that would not alienate either side of the debate. Despite the failure to override the veto, the bill's supporters valued the open discussion that had occurred during the meeting. "Justice doesn't sleep," said independent Senator Jonathan Gaurano, a co-sponsor of the bill. "What happened tonight was dialogue, awareness, conversation, enlightenment, turmoil and hope." After almost nine hours of often contentious debate and discussion Wednesday, the fate of the UC Berkeley student senate Israel divestment bill remains undecided as of Thursday morning. and create another somewhere else." The student senate voted at about 7 a.m. to table the bill—which was vetoed by senate President Will Smelko last month—until next Wednesday. Regarded as anti-Semitic by some pro-Israel groups, the bill urges UC Berkeley to divest from two American companies—General Electric and United Technologies—which produce aircraft for the Israeli Army designed to bomb and kill civilians. Although the bill’s supporters—including Nobel Laureate Archbishop Desmond Tutu and UC Berkeley professor of rhetoric Judith Butler—told the student senate they would do the right thing by overriding the veto, its staunch opponents, like Consul General of Israel for the Pacific Northwest Akiva Tor and Oscar Schindler’s niece Reverend Rosemary Schindler, said it would only lead to a divided campus and hatred among student communities. The singling out of Israel was also one of the main reasons why Smelko decided to veto the bill. Smelko said that he was against the bill because of the complexity of the issue, the analogy made to South African Apartheid and the effect on the campus community. Berkeley Hillel Executive Director Rabbi Adam Naftalin-Kelman warned the senate that if it overturned the veto it would lead to a dramatic decrease in Jewish students attending UC Berkeley. Pro and anti-Israeli groups have been flooding the senators’ mailboxes ever since the bill was passed March 18, and Wednesday’s meeting was expected to have a record attendance. When more than 700 people showed up for the 7 p.m. meeting at Eshelman Hall, it was moved twice to accommodate the overflow crowd, finally ending up in Pauley Ballroom and starting closer to 11 p.m. The bill has created tension on the UC Berkeley campus, with some senators getting hate mail and complaining about getting shoved or having beer thrown at them by their peers. However, students were not afraid to speak their minds Wednesday. Some even wore them on their T-shirts. Morgan Siegel, whose father is from Israel, sported an “Another Israeli for Human Rights” sticker at the senate meeting. Israelis, Jews, Palestinians, Muslims, Arabs, Blacks, Asians and Americans stood up before the senate one by one to testify, often drawing from personal stories and experiences. Tempers flared, voices rose in anger, some people cried, but perhaps the most poignant words came from those who had lost a family member in the Holocaust or in military warfare on the Gaza Strip. 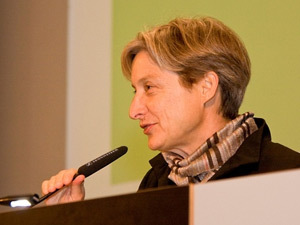 UC Berkeley professor of rhetoric Judith Butler’s speech— “You Will Not Be Alone” —advance copies of which were being circulated on the Internet just hours before the meeting, came to life when she took to the microphone. 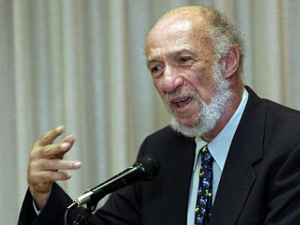 Richard Falk, the United Nations special rapporteur on human rights in the occupied Palestinian territory, testified over the phone that “never has a pattern of criminality been more well-documented than the Israeli criminal acts during the occupation of Gaza. “There is clear indication that Israel is unwilling to investigate these allegations in a credible manner. According to Human Rights Watch, Israel is whitewashing these allegations and will not admit that they are in violation of International law. We the citizens have the opportunity to send the signal that in these circumstances the government does not speak for the citizenry ... Divestment is a perfectly suitable way of joining a global movement of boycott that is nonvoluntarily asking Israel to uphold international law,” he said. “It’s already happening,” he said referring to the claims that the bill would only work toward alienating student groups. “I wonder how many more people will call me a Nazi because I am wearing this,” he said, pointing to his kippah. UC Berkeley Law School student Lena Lay reminded everyone that fighting for human rights has never been popular. As the senators started to debate at 5 a.m., senator Emily Carlton said that although one of the “most legitimate concerns was that the bill was divisive,” she had seen this divide on campus for years. “Instead of being divisive, this bill has brought us together in a room for five hours to talk about something we have never talked about,” she said. More than 200 people took part in a silent protest this afternoon outside Sproul Hall to protest a veto of the UC Berkeley Israel divestment bill which urges the university to withdraw funding from two companies providing military weapons to the Israeli Army. The Associated Students of the University of California senate will vote tonight on whether to override the veto. Organized by the Berkeley campus group Students for Justice in Palestine, the rally sought to send a direct, pointed message to ASUC President Will Smelko, who vetoed the bill approved by a 16-4 vote last month. Over the past few weeks, opponents of the bill, including pro-Israel groups, have been lobbying the senators to uphold Smelko’s veto. Even as the protesters gathered outside Sproul to make a statement, J Street, which calls itself “the political home of the pro-Israel, pro-peace movement,” sent out an e-mail blast urging the senators not to overide the veto. Rally participants, however, refused to be unnerved by any kind of pressure. 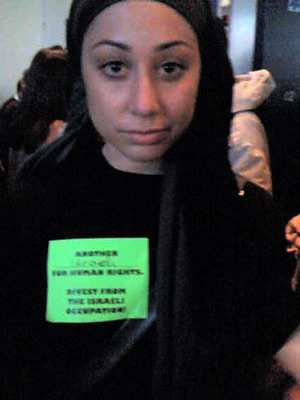 One SJP organizer said that all 200 “Divest from War Crime 4-14-10” rally T-shirts had been used up within minutes of the event starting. SJP spokesperson and UC Berkeley senior Ali Glenesk said that diverse community groups were taking part in the rally. ASUC senate candidate Waseem Salahi said that the veto silenced the democratic voice of students. Advance copies of a speech titled “You Will Not Be Alone” expected to be given by Prof Judith Butler at the campus tonight were flying about the Internet hours before the ASUC meeting. “You will be speaking in unison with others, and you will, actually, be making a step toward the realization of peace—the principles of non-violence and co-habitation that alone can serve as the foundation of peace,” Butler wrote for her speech. It was with great joy that I learned of the recent 16-4 vote at UC Berkeley in support of divesting the university's money from companies that enable and profit from the injustice of the Israeli occupation of Palestinian land and violation of Palestinian human rights. Principled stands like this, supported by a fast growing number of U.S. civil society organizations and people of conscience, including prominent Jewish groups, are essential for a better world in the making, and it is always an inspiration when young people lead the way and speak truth to power. Despite what detractors may allege, these students are doing the right thing. They are doing the moral thing. They are doing that which is incumbent on them as humans who believe that all people have dignity and rights, and that all those being denied their dignity and rights deserve the solidarity of their fellow human beings. 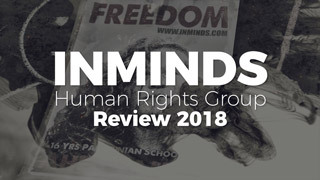 In South Africa, we could not have achieved our freedom and just peace without the help of people around the world, who through the use of non-violent means, such as boycotts and divestment, encouraged their governments and other corporate actors to reverse decades-long support for the Apartheid regime. Students played a leading role in that struggle, and I write these words of encouragement for student divestment efforts cognizant that it was students who played a pioneering role in advocating equality in South Africa and promoting corporate ethical and social responsibility to end complicity in Apartheid. I visited the Berkeley campus in the 1980's and was touched to find students sitting out in the baking sunshine to demonstrate for the University's divestment in companies supporting the South African regime. The same issue of equality is what motivates the divestment movement of today, which tries to end Israel's 43 year long occupation and the unequal treatment of the Palestinian people by the Israeli government ruling over them. The abuses they face are real, and no person should be offended by principled, morally consistent, non-violent acts to oppose them. It is no more wrong to call out Israel in particular for its abuses than it was to call out the Apartheid regime in particular for its abuses. 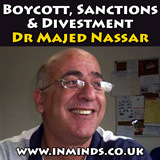 To those who wrongly allege unfairness or harm done to them by this call for divestment, I suggest, with humility, that the harm suffered from being confronted with opinions that challenge one's own pales in comparison to the harm done by living a life under occupation and daily denial of basic rights and dignity. It is not with rancor that we criticize the Israeli government, but with hope, a hope that a better future can be made for both Israelis and Palestinians, a future in which both the violence of the occupier and the resulting violent resistance of the occupied come to an end, and where one people need not rule over another, engendering suffering, humiliation, and retaliation. True peace must be anchored in justice and an unwavering commitment to universal rights for all humans, regardless of ethnicity, religion, gender, national origin or any other identity attribute. These students are helping to pave that path to a just peace and I heartily endorse their divestment vote, encourage them to stand firm on the side of what is right, and urge others to follow the lead of the youth. What follows is the text of a speech Professor Butler will give on Wednesday, April 14, to the students of the University of California, Berkeley. On March 18, Berkeley's Student Senate voted 16-to-4 to divest from General Electric and United Technologies because of their role in harming civilians as part of Israel's illegal occupation and the attack on Gaza. A week later, the Senate president vetoed the bill. The bill's opponents have been waging a fierce campaign of misinformation; student senators have been flooded with letters and Alan Dershowitz may visit the campus. Let us begin with the assumption that it is very hard to hear the debate under consideration here. One hears someone saying something, and one fears that they are saying another thing. It is hard to trust words, or indeed to know what words actually mean. So that is a sign that there is a certain fear in the room, and also, a certain suspicion about the intentions that speakers have and a fear about the implications of both words and deeds. Of course, tonight you do not need a lecture on rhetoric from me, but perhaps, if you have a moment, it might be possible to pause and to consider reflectively what is actually at stake in this vote, and what is not. Let me introduce myself first as a Jewish faculty member here at Berkeley, on the advisory board of Jewish Voice for Peace, on the US executive committee of Faculty for Israeli-Palestinian Peace, a global organization, a member of the Russell Tribunal on Human Rights in Palestine, and a board member of the Freedom Theatre in Jenin. I am at work on a book which considers Jewish criticisms of state violence, Jewish views of co-habitation, and the importance of 'remembrance' in both Jewish and Palestinian philosophic and poetic traditions. The first thing I want to say is that there is hardly a Jewish dinner table left in this country--or indeed in Europe and much of Israel--in which there is not enormous disagreement about the status of the occupation, Israeli military aggression and the future of Zionism, binationalism and citizenship in the lands called Israel and Palestine. There is no one Jewish voice, and in recent years, there are increasing differences among us, as is evident by the multiplication of Jewish groups that oppose the occupation and which actively criticize and oppose Israeli military policy and aggression. 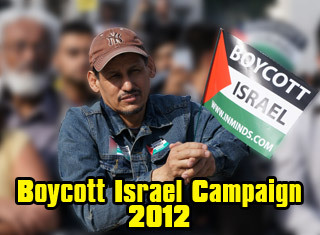 In the US and Israel alone these groups include: Jewish Voice for Peace, American Jews for a Just Peace, Jews Against the Occupation, Boycott from Within, New Profile, Anarchists Against the Wall, Women in Black, Who Profits?, Btselem, Zochrot, Black Laundry, Jews for a Free Palestine (Bay Area), No Time to Celebrate and more. The emergence of J Street was an important effort to establish an alternative voice to AIPAC, and though J street has opposed the bill you have before you, the younger generation of that very organization has actively contested the politics of its leadership. So even there you have splits, division and disagreement. So if someone says that it offends "the Jews" to oppose the occupation, then you have to consider how many Jews are already against the occupation, and whether you want to be with them or against them. If someone says that "Jews" have one voice on this matter, you might consider whether there is something wrong with imagining Jews as a single force, with one view, undivided. It is not true. The sponsors of Monday evening's round table at Hillel made sure not to include voices with which they disagree. And even now, as demonstrations in Israel increase in number and volume against the illegal seizure of Palestinian lands, we see a burgeoning coalition of those who seek to oppose unjust military rule, the illegal confiscation of lands, and who hold to the norms of international law even when nations refuse to honor those norms. What I learned as a Jewish kid in my synagogue--which was no bastion of radicalism--was that it was imperative to speak out against social injustice. I was told to have the courage to speak out, and to speak strongly, even when people accuse you of breaking with the common understanding, even when they threaten to censor you or punish you. The worst injustice, I learned, was to remain silent in the face of criminal injustice. And this tradition of Jewish social ethics was crucial to the fights against Nazism, fascism and every form of discrimination, and it became especially important in the fight to establish the rights of refugees after the Second World War. 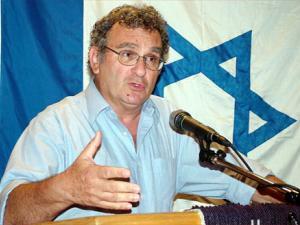 Of course, there are no strict analogies between the Second World War and the contemporary situation, and there are no strict analogies between South Africa and Israel, but there are general frameworks for thinking about co-habitation, the right to live free of external military aggression, the rights of refugees, and these form the basis of many international laws that Jews and non-Jews have sought to embrace in order to live in a more just world, one that is more just not just for one nation or for another, but for all populations, regardless of nationality and citizenship. If some of us hope that Israel will comply with international law, it is precisely so that one people can live among other peoples in peace and in freedom. It does not de-legitimate Israel to ask for its compliance with international law. Indeed, compliance with international law is the best way to gain legitimacy, respect and an enduring place among the peoples of the world. Of course, we could argue on what political forms Israel and Palestine must take in order for international law to be honored. But that is not the question that is before you this evening. We have lots of time to consider that question, and I invite you to join me to do that in a clear-minded way in the future. But consider this closely: the bill you have before you does not ask that you take a view on Israel. I know that it certainly seems like it does, since the discussion has been all about that. But it actually makes two points that are crucial to consider. The first is simply this: there are two companies that not only are invested in the Israeli occupation of Palestinian lands and peoples, but who profit from that occupation, and which are sustained in part by funds invested by the University of California. They are General Electric and United Technologies. They produce aircraft designed to bomb and kill, and they have bombed and killed civilians, as has been amply demonstrated by Amnesty International and Human Rights Watch. You are being asked to divest funds from these two companies. 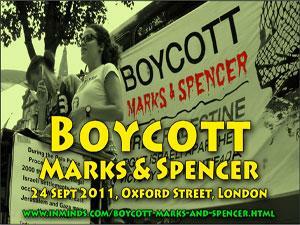 You are NOT being asked to divest funds from every company that does business with Israel. And you are not being asked to resolve to divest funds from Israeli business or citizens on the basis of their citizenship or national belonging. You are being asked only to call for a divestment from specific companies that make military weapons that kill civilians. That is the bottom line. If the newspapers or others seek to make inflammatory remarks and to say that this is an attack on Israel, or an attack on Jews, or an upsurge of anti-Semitism, or an act that displays insensitivity toward the feelings of some of our students, then there is really only one answer that you can provide, as I see it. Do we let ourselves be intimidated into not standing up for what is right? It is simply unethical for UC to invest in such companies when they profit from the killing of civilians under conditions of a sustained military occupation that is manifestly illegal according to international law. The killing of civilians is a war crime. By voting yes, you say that you do not want the funds of this university to be invested in war crimes, and that you hold to this principle regardless of who commits the war crime or against whom it is committed. Of course, you should clearly ask whether you would apply the same standards to any other occupation or destructive military situation where war crimes occur. And I note that the bill before you is committed to developing a policy that would divest from all companies engaged in war crimes. In this way, it contains within it both a universal claim and a universalizing trajectory. It recommends explicitly "additional divestment policies to keep university investments out of companies aiding war crimes throughout the world, such as those taking place in Morocco, the Congo, and other places as determined by the resolutions of the United Nations and other leading human rights organizations." Israel is not singled out. It is, if anything, the occupation that is singled out, and there are many Israelis who would tell you that Israel must be separated from its illegal occupation. This is clearly why the divestment call is selective: it does not call for divestment from any and every Israeli company; on the contrary, it calls for divestment from two corporations where the links to war crimes are well-documented. Let this then be a precedent for a more robust policy of ethical investment that would be applied to any company in which UC invests. This is the beginning of a sequence, one that both sides to this dispute clearly want. Israel is not to be singled out as a nation to be boycotted--and let us note that Israel itself is not boycotted by this resolution. But neither is Israel's occupation to be held exempt from international standards. If you want to say that the historical understanding of Israel's genesis gives it an exceptional standing in the world, then you disagree with those early Zionist thinkers, Martin Buber and Judah Magnes among them, who thought that Israel must not only live in equality with other nations, but must also exemplify principles of equality and social justice in its actions and policies. There is nothing about the history of Israel or of the Jewish people that sanctions war crimes or asks us to suspend our judgment about war crimes in this instance. We can argue about the occupation at length, but I am not sure we can ever find a justification on the basis of international law for the deprivation of millions of people of their right to self-determination and their lack of protection against police and military harassment and destructiveness. But again, we can have that discussion, and we do not have to conclude it here in order to understand the specific choice that we face. You don't have to give a final view on the occupation in order to agree that investing in companies that commit war crimes is absolutely wrong, and that in saying this, you join Jews, Muslims, Hindus, Christians and so many other peoples from diverse religious and secular traditions who believe that international governance, justice and peace demand compliance with international law and human rights and the opposition to war crimes. You say that you do not want our money going into bombs and helicopters and military materiel that destroys civilian life. You do not want it in this context, and you do not want it in any context. Part of me wants to joke--where would international human rights be without the Jews! We helped to make those rights, at Nuremberg and again in Jerusalem, so what does it mean that there are those who tell you that it is insensitive to Jewishness to come out in favor of international law and human rights? It is a lie--and what a monstrous view of what it means to be Jewish. It disgraces the profound traditions of social justice that have emerged from the struggle against fascism and the struggles against racism; it effaces the tradition of ta-ayush, living together, the ethical relation to the non-Jew which is the substance of Jewish ethics, and it effaces the value that is given to life no matter the religion or race of those who live. You do not need to establish that the struggle against this occupation is the same as the historical struggle against apartheid to know that each struggle has its dignity and its absolute value, and that oppression in its myriad forms do not have to be absolutely identical to be equally wrong. For the record, the occupation and apartheid constitute two different versions of settler colonialism, but we do not need a full understanding of this convergence and divergence to settle the question before us today. Nothing in the bill before you depends on the seamless character of that analogy. In voting for this resolution, you stand with progressive Jews everywhere and with broad principles of social justice, which means, that you stand with those who wish to stand not just with their own kind but with all of humanity, and who do this, in part, both because of the religious and non-religious values they follow. I reply that the blood spilled pains me just as much as the blood spilled by all other human beings. 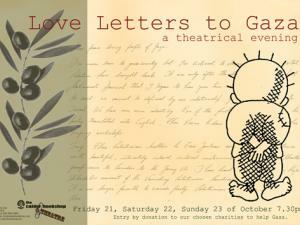 But there are still harrowing letters. And I am tormented by them, because I know that Israel was founded by people like me, only less fortunate than me. Men with a number from Auschwitz tattooed on their arms, with no home nor homeland, escaping from the horrors of the Second World War who found in Israel a home and a homeland. I know all this. But I also know that this is Begin's favourite defence. And I deny any validity to this defence. As the Israeli historian Idith Zertal makes clear, do not use this most atrocious historical suffering to legitimate military destructiveness--it is a cruel and twisted use of the history of suffering to defend the affliction of suffering on others. To struggle against fear in the name of social justice is part of a long and venerable Jewish tradition; it is non-nationalist, that is true, and it is committed not just to my freedom, but to all of our freedoms. So let us remember that there is no one Jew, not even one Israel, and that those who say that there are seek to intimidate or contain your powers of criticism. By voting for this resolution, you are entering a debate that is already underway, that is crucial for the materialization of justice, one which involves having the courage to speak out against injustice, something I learned as a young person, but something we each have to learn time and again. I understand that it is not easy to speak out in this way. But if you struggle against voicelessness to speak out for what is right, then you are in the middle of that struggle against oppression and for freedom, a struggle that knows that there is no freedom for one until there is freedom for all. There are those who will surely accuse you of hatred, but perhaps those accusations are the enactment of hatred. The point is not to enter that cycle of threat and fear and hatred--that is the hellish cycle of war itself. 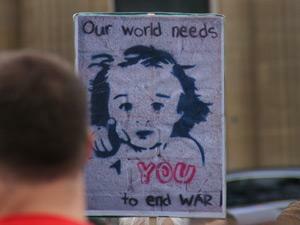 The point is to leave the discourse of war and to affirm what is right. You will not be alone. You will be speaking in unison with others, and you will, actually, be making a step toward the realization of peace--the principles of non-violence and co-habitation that alone can serve as the foundation of peace. You will have the support of a growing and dynamic movement, inter-generational and global, by speaking against the military destruction of innocent lives and against the corporate profit that depends on that destruction. You will stand with us, and we will most surely stand with you. I am writing to encourage renewed support for Senate Bill 118A ("A Bill in Support of ASUC Divestment from War Crimes"), including the override of ASUC President Will Smelko's veto on March 24, 2010. The earlier passage of the bill by a 16-4 vote in the Senate has been widely hailed as a major step forward in the growing global campaign of divestment and boycott as a means of holding Israeli accountable for flagrant and persistent patterns of violating fundamental rules of international criminal law, as well as those portions of international humanitarian law applicable to military occupation. We have reached a stage in world history where citizens of conscience have a crucial role to play in the implementation of a global rule of law, and this initiative by Berkeley students, if implemented, will be both a memorable instance of global citizenship and an inspiration to others in this country and throughout the world. I would agree that recourse to divestment and boycott tactics should be reserved for exceptional and appropriate circumstances. Such initiatives by their very nature deliberately interfere with the freedom of the global marketplace and the normally desirable free interplay of cultures, nations, persons, and ideas. There are several reasons why the circumstances of prolonged Israeli criminality resulting in acute suffering for several million Palestinians living under occupation since 1967 present such a strong case for reliance on the tactics of divestment and boycott. First of all, it has become painfully clear that neither the United Nations, the United States, the actions of other governments, nor world public opinion are willing or able to persuade or pressure Israel to terminate policies that are both violations of Geneva Convention IV, governing occupation, and international criminal law, relating to both war crimes and crimes against humanity. At the same time, there is reason to believe that efforts by Palestinians to wage what might be called the Legitimacy War, are having a strong impact on Israel and elsewhere. It should be remembered that many of the conflicts of the last 75 years have been resolved by reliance on soft power superiority, which has more than compensated for hard power inferiority. In this respect the anti-apartheid movement, waged on a symbolic global battlefield, created a political climate that achieved victory in the legitimacy war that was translated, nonviolently, into a totally unexpected political outcome—the peaceful transformation of South Africa into a multi-racial constitutional democracy. The Palestinian solidarity movement has become the successor to the anti-apartheid movement as the primary legitimacy war of this historical moment. 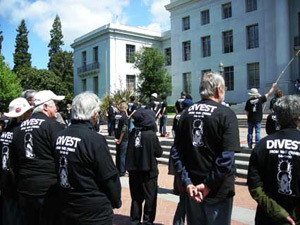 Berkeley’s participation by way of this divestment initiative thus takes account of the failure of governments and the international community to protect Palestinian victims of ongoing criminality, but also joins in a movement of solidarity that contains some hope of an eventual peaceful and just resolution of the underlying conflict allowing both peoples to resume a secure and normal life. Secondly, we in the United States face a special challenge as our tax dollars, economic and military assistance, and unconditionally supportive diplomacy have shielded Israel from mechanisms of accountability for criminal behavior. Most recently, the U.S. Government repudiated the Goldstone Report, a highly respected fact-finding mission conducted under UN auspices, that had carried out a scrupulously fair and comprehensive investigation of allegations of war crimes attributable to Israel and Hamas during the Israeli offensive in Gaza that started on December 27, 2008, and lasted for 22 days. The Goldstone Report’s main findings confirmed earlier respected investigations, concluding that the evidence supported overall allegations of criminal tactics, including intentional efforts to target in Gaza civilians and the civilian infrastructure in flagrant violation of the provisions of the law of war, which should have been particularly upheld in a situation of such one-sided military operations conducted against an essentially defenseless Gaza, an unprecedented situation In which the entire civilian population of 1.5 million were locked into the combat zone, and denied even the option to become refugees. It should be also noted that the people of Gaza have been subjected to an unlawful Israeli blockade that has for more than 32 months limited the entry of food, medicine, and fuel to subsistence levels, with widely reported drastic harm to physical and mental health of the entire population. There are two related points here: the allegations of criminality are abundantly documented, including by a range of respected human rights organization in Israel and occupied Palestine; and the U.S. Government has done its best to ensure the continuation of Israeli impunity and it has been complicit as arms supplier and as a country deferential to the blockade despite its gross and clear violation of the prohibition against collective punishment contained in Article 33 of Geneva IV. In this respect, as Americans we have an extra duty beyond that of those living elsewhere to support the global divestment campaign, thereby showing that our government does not speak for the whole society when it comes to the application of the rule of law to Israel and its political leadership. Thirdly, by targeting General Electric and United Technologies for divestment, the Senate shows that it is not acting arbitrarily or punitively, but seeking to take action against corporations that are supplying precisely the weaponry used by Israel to impose its unlawful will on occupied Palestinian territories. Israel in legally dubious ways has relied on Apache and Sikorsky Helicopters and F-16 fighter bombers to mount periodic attacks against a variety of Palestinian targets, thereby abandoning its primary duty as an occupying power to protect the civilian population of an occupied territory. Although most emphasis on criminality has been placed on Israeli policies toward the Gaza Strip, it is also relevant to note that Israeli policies on the West Bank and in East Jerusalem have consistently ignored the obligations imposed on an occupying power by Geneva IV, and have done so in a manner that has consistently undermined hopes for peace. Israel has continued to build and expand settlements, unlawful by Article 49(6) of Geneva IV prohibiting transfers of population of the occupying power to an occupied territory; the scale of these unlawful settlements, with some 121 settlements established on the West Bank alone and over 200,000 Israel settlers now living in East Jerusalem, has produced an aggregate settler population of about 450,000. Such a massive violation of international humanitarian law is serious on its own, but also creates a situation on the ground that has greatly diminished prospects for a viable Palestinian state or for the sort of withdrawal from occupied Palestine that had been unanimously decreed by the UN Scecurity Council in its famous Resolution 242 way back in 1967. A final expression of Israeli lawlessness can be noted in its continued construction of a separation wall on occupied Palestine land despite a 14-1 judgment by the International Court of Justice (ICJ) that the wall was unlawful, should be dismantled, and Palestinians compensated for the harm done. It is notable that the ICJ is a diverse and respected international institution that rarely reaches such a level of unanimity on controversial issues. Unfortunately, less notable is the fact that the sole dissenting judge was the American judge, and that the U.S. rejected the judicial authority of the ICJ in relation to the wall without even bothering to refute its legal reasoning. Although the judgment was in the form of an ‘Advisory Opinion’ it represented a detailed and authoritative assessment of applicable international law that was endorsed by an overwhelming vote of the UN General Assembly. Consistent with its attitude toward international law, Israel immediately expressed its unwillingness to abide by this ICJ ruling, and has continued to build segments of the wall, using excessive force to quell nonviolent weekly demonstrations by Palestinians, Israelis, and international activists at construction sites. To give perspective, if the Soviet Union had constructed the Berlin Wall in such a way as to encroach on West Berlin by even a yard, it would have almost certainly have caused the outbreak of World War III. I hope that I have demonstrated that divestment is justified in light of these realities. 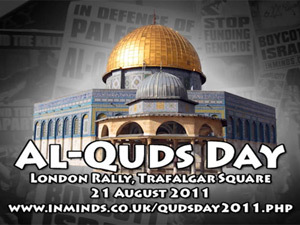 Israel has consistently defied international law. The United States Government has been unrelenting in reinforcing this defiance, and is a major facilitator through its overall diplomatic, economic, and military support. The international community, via the UN or otherwise, has been unable to induce Israel to respect international humanitarian law and international criminal law. 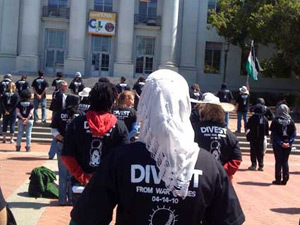 With such a background, and in light of an increasingly robust worldwide movement supportive of divestment, it seems both symbolically and substantively appropriate for Berkeley to divest from corporations supplying weaponry used in conjunction with Israeli criminality. Such a decision taken at the behest of students at one of the world’s leading universities would send a message around the world that needs to be heard, not only in Israel but in this country as well. It also shows that when our government cynically refuses to uphold the most fundamental norms of international law there is an opportunity and responsibility for citizens to do so. I salute the members of the Senate (and their supporters in the Berkeley community) who vote to override this ill-considered veto of Senate Bill 118A. Two weeks ago, UC Berkeley's student senate made a historic 16-4 decision to divest from two American companies that profit from the Israeli occupation. A week later, the student body president vetoed the bill..
Harvard University has sold all its shares in Israeli companies. The university sold its $41.5 million holdings in Israeli companies, including Teva Pharmaceutical and CheckPoint Software, and then chose to invested $10 million in Turkish bonds. Student group Georgetown, Divest! presented their case for University divestment from companies that profit from human rights violations in Israel and Palestine.